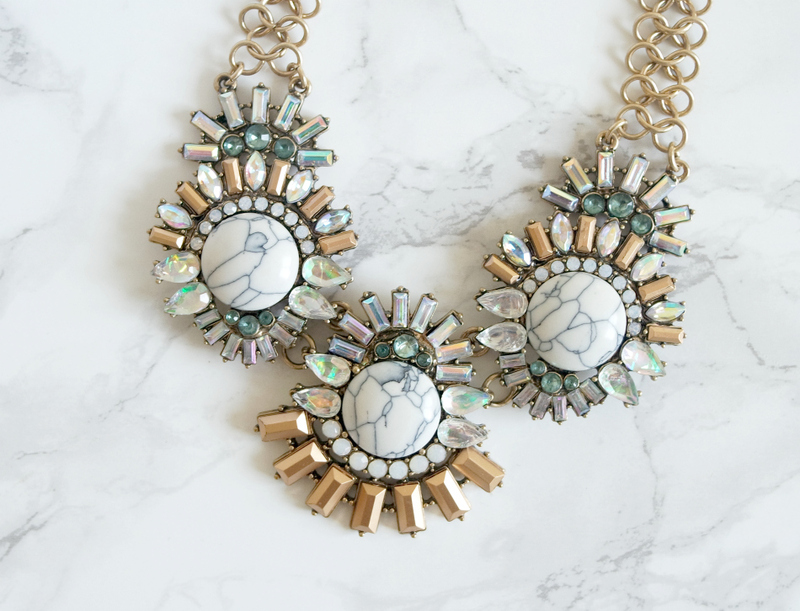 Happiness Boutique very kindly asked me if I'd liked to try out one of their statement necklaces and, after much deliberation, I opted for this gorgeous marble statement necklace*. Like most bloggers, I'm obsessed with anything marble so I guess this was a pretty obvious choice. I love this necklace. It's in your face but in a seriously good way and it just screams 'spring', in my opinion due to it's pastel tones. I'm not much of a jewellery person at all but I can see this little guy making an appearance a lot over the upcoming months whenever I want to add a bit of sparkle to a dull outfit. Make sure you check out the Happiness Boutique website if you're on the hunt for some sassy new jewellery. Their collections are seriously beaut and they even have a whole page dedicated to marble (insert heart-eyed emoji here) They're a Belgium online retailer but they offer free shipping worldwide which is fab. Ooh, and you can get 10% off purchases over 19 euros (about £15) at the moment, too, with my discount code: bethany-georgina which is valid until 9th April. 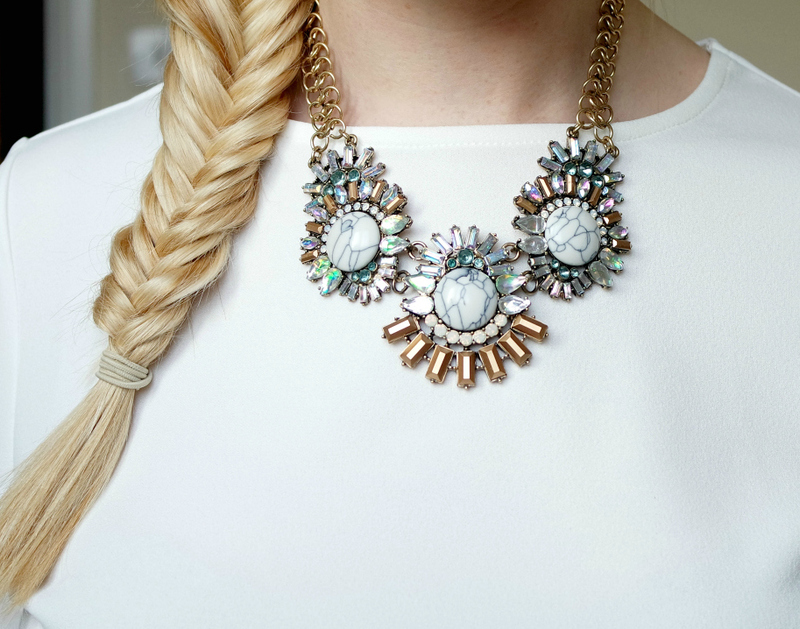 Are you a fan of statement necklaces? Check out my March advertiser - Lauren from Lauren Ellen!